A happy life is the promised land of a liberal arts education. But since happiness and well-being are harder than ever to come by, no wonder that many colleges are doubling down on how best to prepare students to find post-graduation happiness. Turns out that Bates might be doing a better job than the others. That’s one takeaway from a major feature story in Quartz about the college’s Purposeful Work program. Since the inception of the Purposeful Work initiative, Bates seniors’ confidence in their career-related abilities has increased significantly in all measures. Students [at Bates] can take a psychology class about infancy and listen to guest lecturers, including doulas, nurse practitioners, stay-at-home dads, and brand-new moms, explain why the information in the class is relevant to what they do everyday. During a five-week Short Term in May, Bates offers practitioner-taught courses: One digital marketing course was taught by a digital marketing consultant, while a dancer educated students on the business concerns involved in pursuing a career in the arts. Students can also shadow workers in various fields for a day (many of them Bates alumni) and funding from the school is available for internships in fields that don’t pay, such as non-profits and the arts. Importantly, Purposeful Work seeks to give students who don’t have networks the skills and the experience to build them. Among the college’s various Purposeful Work offerings and programs, is a course called “Life Architecture.” Taught by Bates psychologist Rebecca Fraser-Thill, one of the program architects for Purposeful Work, the course gives students the skills and self-knowledge they need make the best marriage of professional and personal fulfillment. Part of that self-awareness is the face that career-building is hardly linear — a fact that shocks many students. 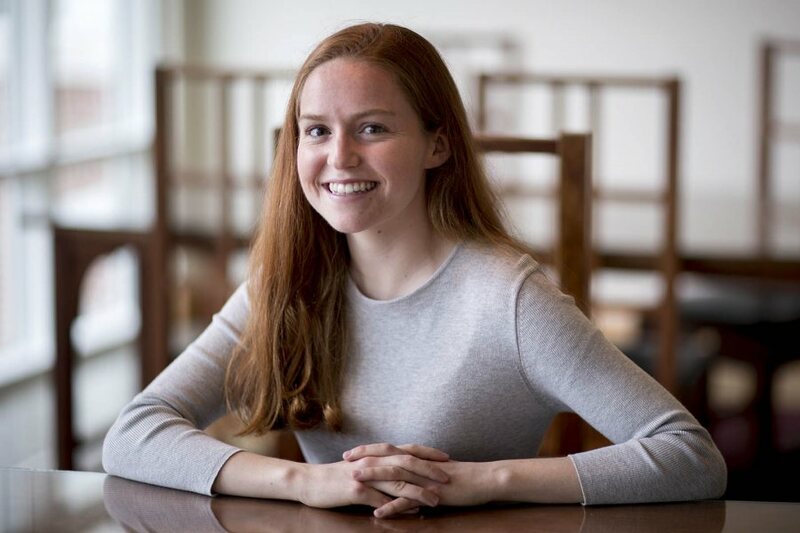 Callie Reynolds ’18 is taking the course this Short Term. “I found it comforting that it will be a trial and error process,” she tells Anderson.